When you have a legal issue to resolve, wouldn't it be nice to know that your attorney is someone you can feel comfortable speaking with? 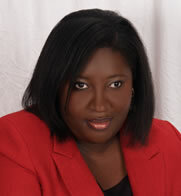 I am attorney,Antonette P. Russell, and I thank you for taking the time to visit my firm website. I have been an attorney since 1997. We practice law at The Russell Law Firm, P.L. with the singular purpose to provide responsive, effective, and affordable and peerless representation, for people who need help resolving their pressing legal matters. I have built my reputation on my direct, honest, respectful approach and my excellent representation of each client who grants me the privilege to serve them. Immigration & Naturalization law; Divorce & Family law; Probate law; Estate Administration; Wills & Trust & Guardianship. At The Russell Law Firm, P.L., you do not have to wonder if we will return your calls or answer your questions clearly and honestly. In fact, it is what we base our success on. When you contact our office, please set up a legal consultation which is by Appointment. Some attorneys may offer a free legal consultation for 15 or 30 minutes but when you leave you feel dissatisfied and uninformed. Our office charges a consultation fee of $150.00 per hour. Because, we spend the time to give you a thorough consultation. You will have the opportunity to explain your case, ask questions, and our attorney will explain your legal rights and discuss every possible option that may be available to you.